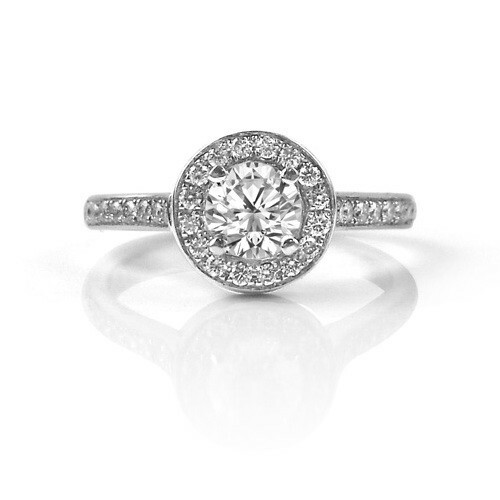 Round brilliant pavé diamonds set off the sparkly centre diamond in this engagement ring in a clean, elegant setting that has a vintage feel. 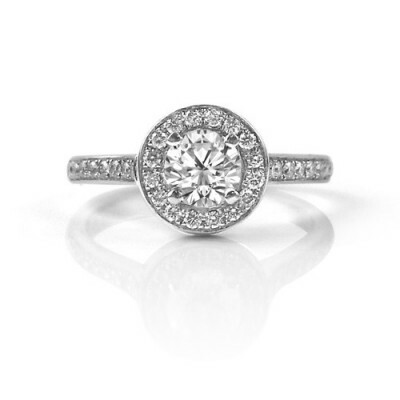 If you want to see what this ring would look like with less metal showing, check out our Round Shared Claw Diamond Halo Engagement Ring. This ring can be custom made for you in platinum, white gold, yellow gold or rose gold with any colour diamond or gemstone.